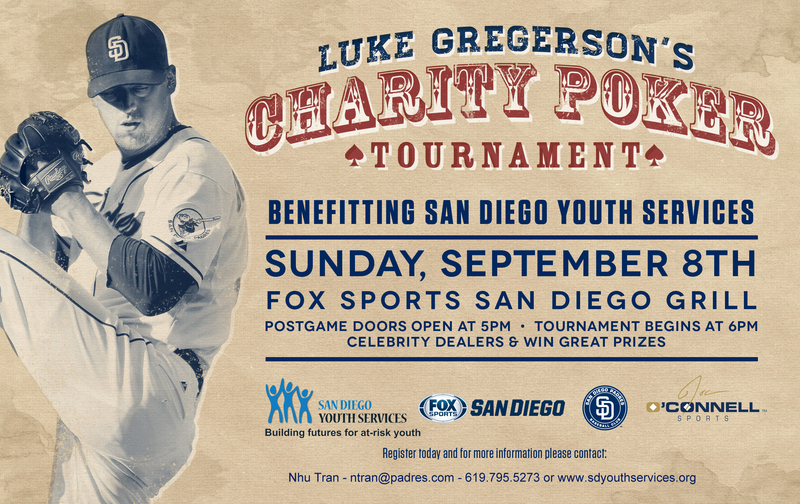 You’re invited to a night of Texas Hold ‘Em with Luke and his teammates to benefit San Diego Youth Services (SDYS). SDYS is a nationally recognized, comprehensive non-profit organization that has helped stabilize the lives of more than a half-million young people and their families since 1970. Every day they work to fight the tragedies of homeless youth and youth in crisis. 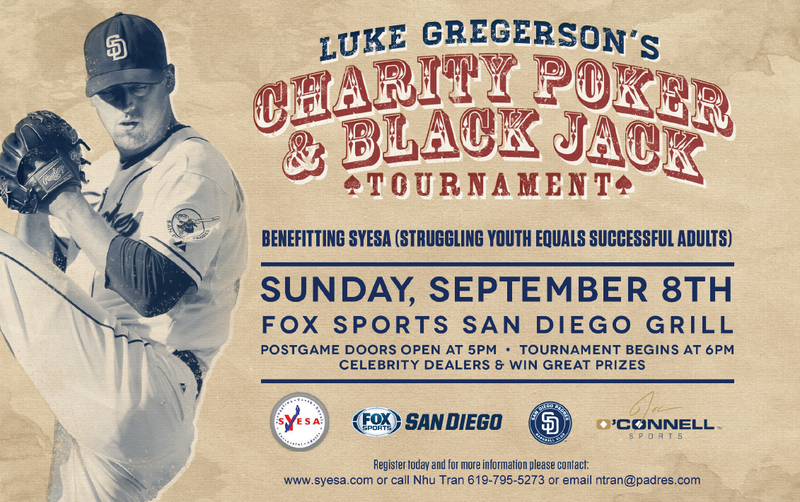 The Luke Gregerson Charity Poker Tournament will be held Sunday, September 8, 2013 at FOX Sports Grill located across from Petco Park. The first round of play in this no-limits tournament begins promptly at 6 p.m. Donate today or register for the tournament by visiting www.sdyouthservices.org or calling 619-795-5273. • Opportunity to win raffle prizes!